The Tale of Kachima: Saving the Golden Monkeys with Sandra Gray is a fun, adventurous, wildly artistic book that allows the imagination of a child to explore and create possibilities. The book takes us on a journey of a conservationist as she learns the secrets of Mother Nature and its inhabitants, especially the endangered golden monkeys. 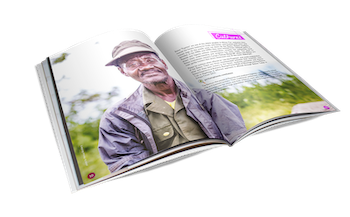 The book presents the story of Sandra Gray who has dedicated her life to study and protect Mgahinga Gorilla National Park and its precious animals. In fact, she is portrayed as one with the forest. The writer, Bella Horton, who is spending some time with Sandra as a volunteer, follows her and captures her passion and dedication. Colourful imagery is used to illustrate the tale perfectly and appeal to the young ones, however the selection of words is rather complex and might require a parent to explain further. That is actually good, as the book allows topics like preservation and conservation to become a conversation. Families can talk about stories of the wildlife encountered in the book, like elephants and monkeys, as kids suddenly get an unexpected chance to learn deeper. The book will also provide a platform to discuss with children how to behave if they ever meet an animal or a person they find mean or scary. You can find The Tale of Kachima at the lodges of the Gorilla Highlands region, or order it from Amazon.